New, original and genuine. RoHS Compliant. 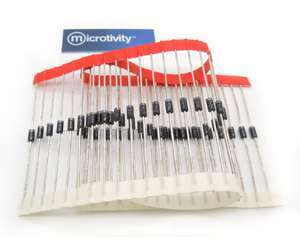 In microtivity resealable packaging. Beware of imitators. Pack of 50 1N4007 general purpose rectifiers.